Sunday, May 1, 2011 is the opening day for biking the Elroy-Sparta Bike Trail. To celebrate the opening day, there will be a flag raising ceremony, DNR Friends of the Trail Presentation as well as a light reception starting at 12:00 noon at the Depot in Sparta, Wisconsin. From 12:30 to 3:00 PM there will be a bike rodeo, bike safety presentation as well as other displays and information. The Elroy-Sparta Bike Trail will remain open until October 31, 2011. 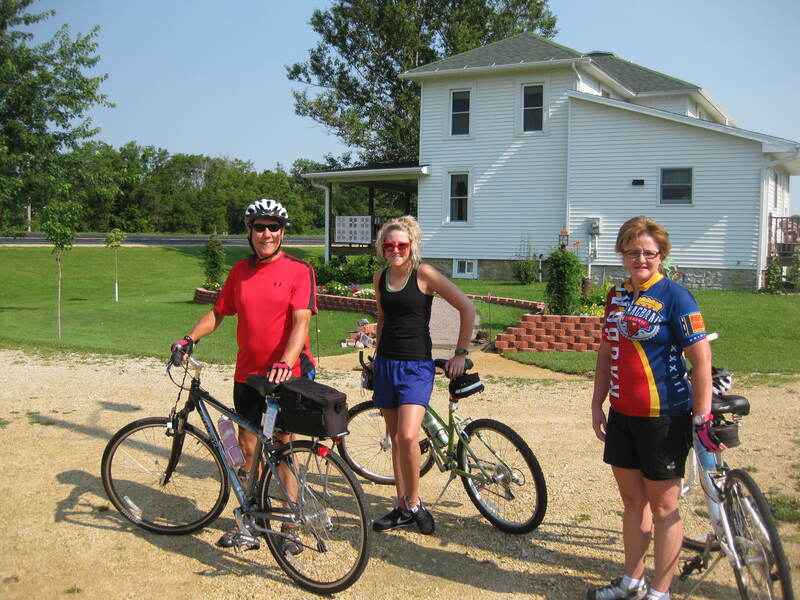 Amil’s Inn Bed and Breakfast is located in the heart of the Elroy-Sparta Bike Trail and is a great place to begin your bike trek. Considered the first rail-to-trail in the United States, the Elroy-Sparta Bike Trail remains one of the most popular trails in the country. With three rock tunnels and five small towns along its 32.5-mile route, the trail is a favorite Wisconsin bicycling destination. The trail is surfaced with limestone screenings to provide a smooth surface suitable for walkers and bicyclists spring through fall. Traveling between Sparta and Elroy, the trail stretches through the communities of Norwalk, Wilton and Kendall, passing by wetlands, prairies, farmland and unglaciated areas. State trail passes are required for bikers 16 and older. Daily and annual passes are available at outlets in towns along the trail as well as at Amil’s Inn Bed and Breakfast. For further information please visit these websites to help plan your visit to the Elroy-Sparta Bike Trail and Amil’s Inn Bed and Breakfast: www.elroy-sparta-trail.com, www.bikesparta.com, www.elroy-sparta-trail.com/wilton.htm, and www.dnr.state.wi.us/org/land/parks/specific/elroysparta.